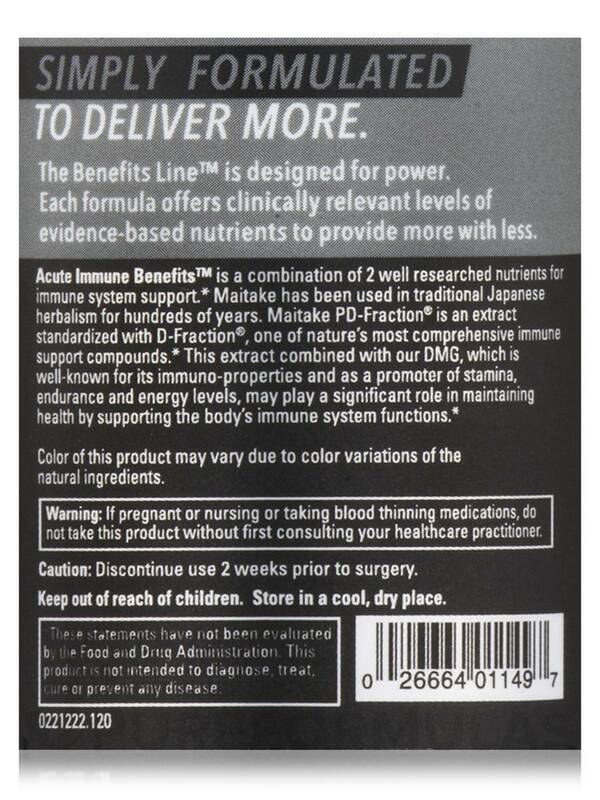 A Dietary Supplement to Support Immune System Function! 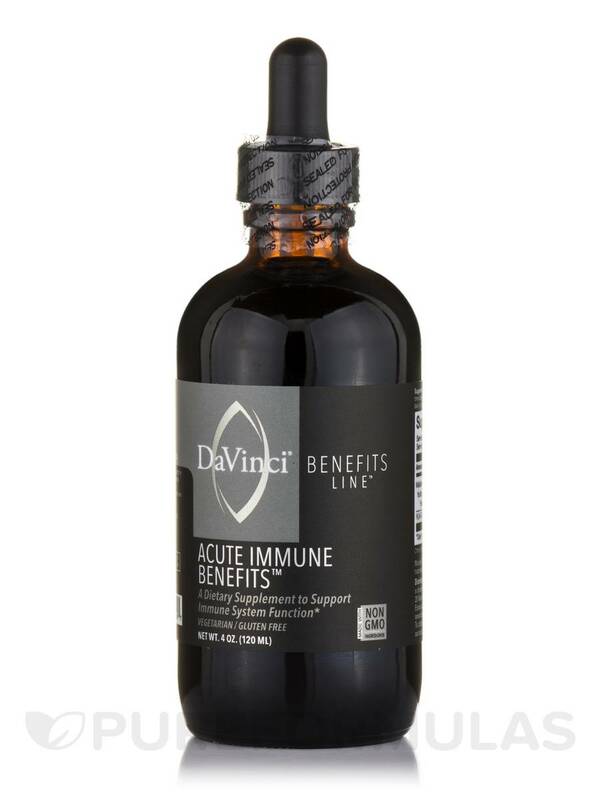 Acute Immune Benefits™ brings together two potent nutrients that can help support immune system function and help maintain optimal health. Maitake is a mushroom that has been used in traditional Japanese herbalism for hundreds of years. 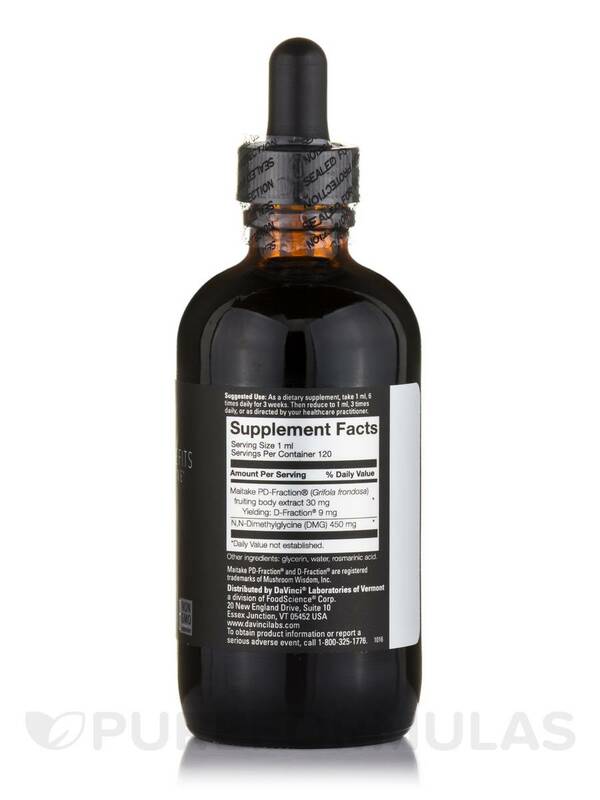 Maitake Mushroom has a high nutritional profile‚ enhances the immune system‚ helps the body cope with stress and normalizes body functions‚ and is rich in Beta-Glucans. 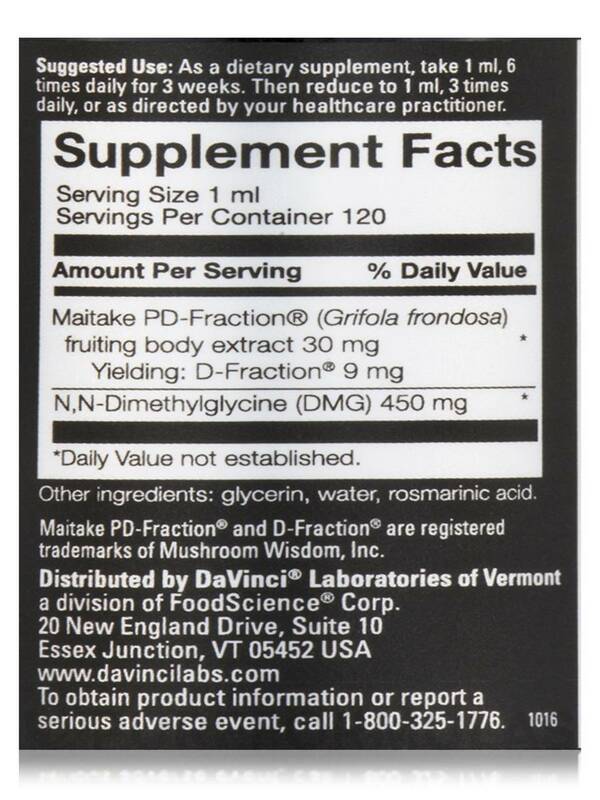 Gluconic® DMG from DaVinci® Laboratories of Vermont is a metabolic enhancer that promotes a strong immune system. Other Ingredients: Glycerin‚ water‚ rosmarinic acid. Vegetarian / Gluten-Free / Made with Non-GMO Ingredients. 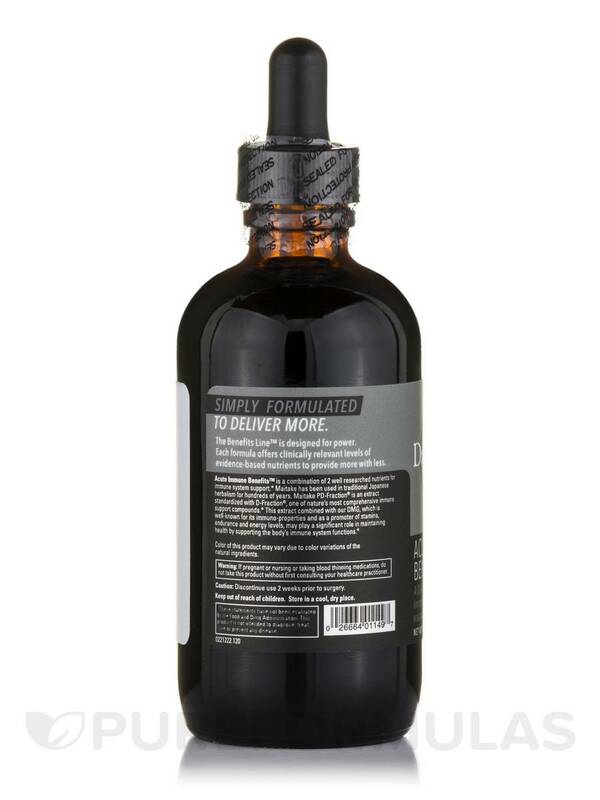 As a dietary supplement‚ take 1 ml‚ 6 times daily for 3 weeks. Then reduce to 1 ml‚ 3 times daily‚ or as directed by your healthcare practitioner. If pregnant or nursing or taking blood thinning medications‚ do not take this product without first consulting your healthcare practitioner. Notice: Color of this product may vary due to color variations of the natural ingredients.